I make all products to order and require a 2-3 week lead time before shipping. If you see a product you like and would like a different size, wood species, or other custom option, please see your commission. Scroll through this page to learn about the products or view the full line here. If you’re in Portland, you can purchase my products at Madehere PDX. 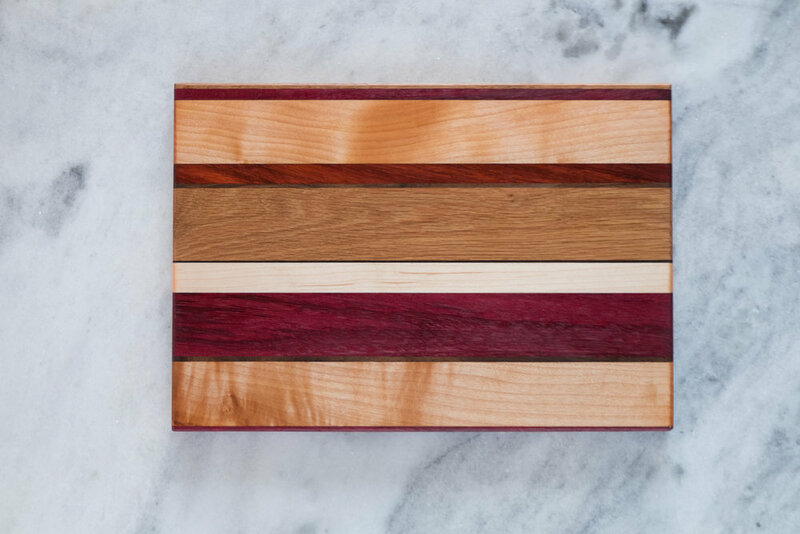 I make a variety of cutting and serving boards, from colorful mixed species cheese boards to heavy-duty walnut edge-grain butcher-block boards. A Wood by Lucien cutting board is the centerpiece of a kitchen and will last for years. 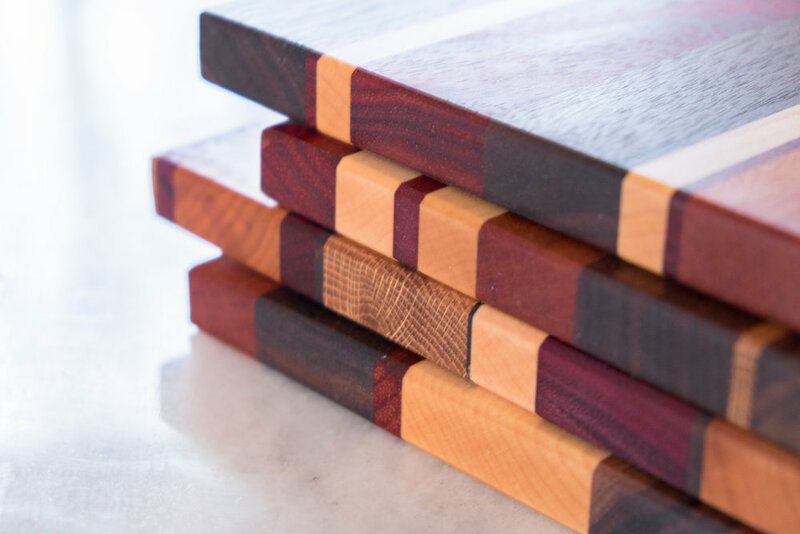 A cutting board is a very personal item, something you use multiple times a day, something to complement your home decor. Maybe you saw a cutting board at a kitchen store but want one made from local walnut. I can make exactly what you want. Choose from my collection or commission your own. 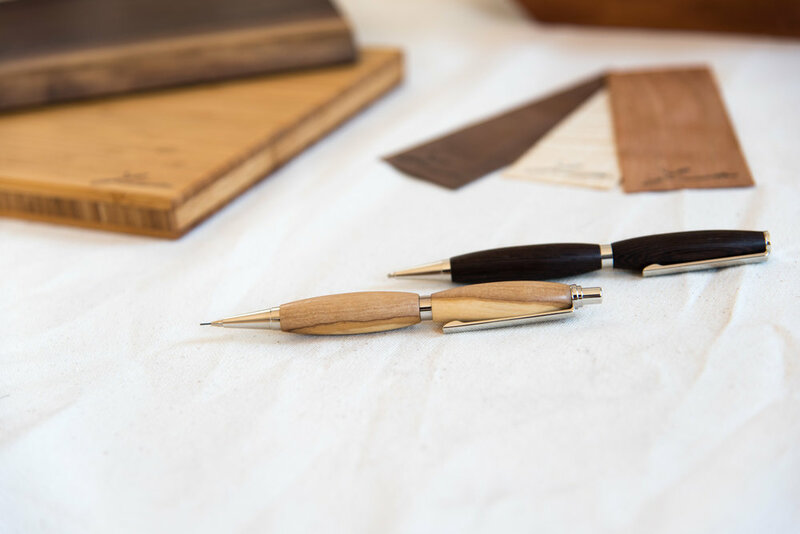 Writing instruments that appeal to the touch and the eye. 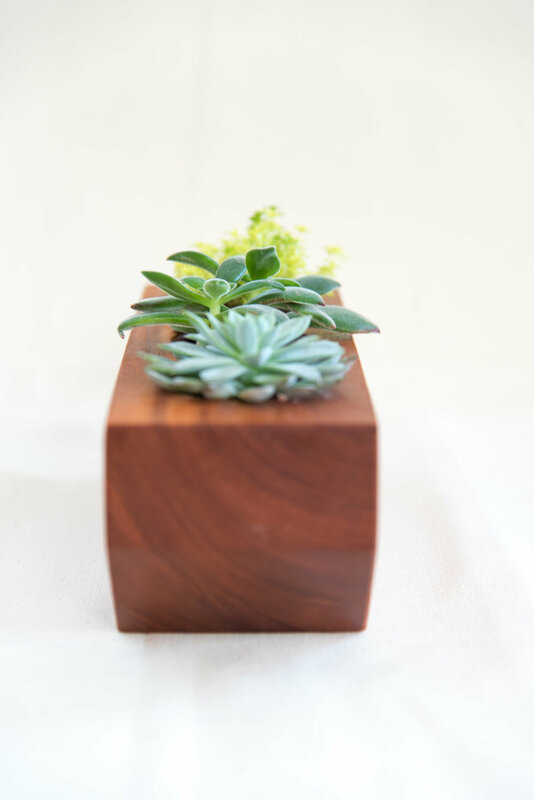 Planters to bring the outdoors in. Pencil holders that organize and display.